When I acquired the drawing at left of a fine house in DC from an online auction, I knew that it was designed by noted local architect Arthur B. Heaton. What I didn't know was where it was, or even if it had been built. After a little investigating, I discovered that Heaton had designed the house for himself. The drawing had appeared in the June 5, 1929 edition of The American Architect, so I knew approximately when it might have been built. So I looked up Heaton's address a few years later, and compared it to the house located there today at 4861 Indian Lane in the Spring Valley neighborhood, and after peeking through the trees via Google, viola! It was the same house. The shutters are gone, which has changed its appearance considerably. The current view is at right (from the other angle). Heaton received his permit to build on July 31, 1928. The house cost $20,375 to construct. The floor plans are below. Arthur B. Heaton designed over a thousand commissions that included lavish apartment buildings, commercial buildings, theaters, and lavish private mansions and homes in the metropolitan Washington area throughout his career, which lasted from 1897 to 1947. He was born on November 12, 1875 in Washington, DC, the son of Frank M. and Mabel (Berthrong) Heaton. Following his 1892 graduation from Central High School, he was employed as a draftsman for the local architectural firms of Frederick B. Pyle, Paul J. Peltz and Marsh and Peter, and continued his own education in Europe, touring the great cathedrals and attending the Sorbonne for a year. He partnered with architect George A. Dessez for the seven houses located between 1712 and 1720 22nd Street, and 2206-2208 Decatur Street, N.W. Heaton then opened his own office in 1898. Immediately successful, Heaton designed four important apartment houses in the first two years of his own practice, an impressive feat for any aspiring architect. They included the Highlands (1902), the Montgomery (1901), the Marlborough (1901), and the Augusta (1900). 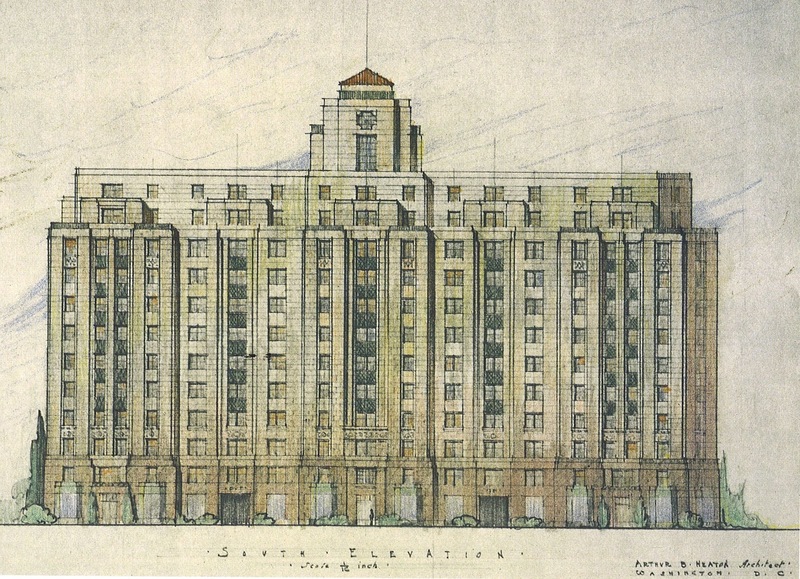 In all, Heaton would go on to design twenty-eight apartment houses during the period from 1900 to 1940, including the Altamont in 1917, located at 1901 Wyoming Avenue, perhaps his best example. Heaton also served as the first supervising architect on the construction of the Washington Cathedral from 1908 to 1928. Heaton also designed a number of homes for private individuals of means, including William S. Corby, David Lawrence, Rudolph Kauffmann, George Judd, and Gilbert Grosvenor’s country house in Rockville, Maryland. He provided the plans for the stone clad house at 1500 Farragut Street in 1915 for coal business owner William E. Barker. Heaton designed the house at 2122 Bancroft Place, N.W., for lawyer Frederick Eichelberger in 1911, and the house at 1848 Biltmore Street, N.W., for owner R. V. Belt. Seen at right, it was featured in the February 22, 1911 issue of American Architect. He also provded the plans for the Embassy building located on Connecticut Avenue and N Streets, which was built in 1902 (right). 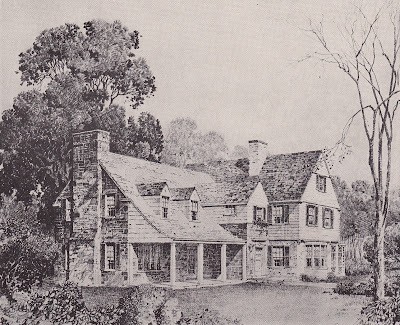 Heaton provided plans for more than 500 more modest homes in the Burleith neighborhood for the Shannon and Luchs development company between 1917 and 1932. He is also noted for an unusual section of homes along a cul-de-sac at Rittenhouse Street and Broad Branch Road in Chevy Chase DC, designed and built in 1931. An early preservationist, Heaton incorporated salvaged architectural elements from a H.H. Richardson designed mansion, built in 1884 for the Henry Adams at 16th and H Streets and razed in 1926, into two individual houses he designed that same year at 3014 Woodland Drive and 2618 31st Street, NW. 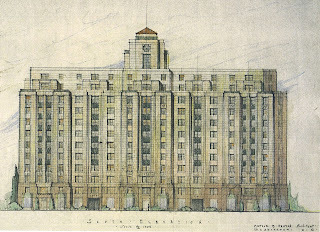 Heaton’s commercial designs include the National Geographic Society in 1911, John Dickson Home for Aged Men at 14th and Gallatin Streets in 1912, Equitable Building Association, Washington Loan and Trust Company at 17th and G Streets in 1924, the Capitol Garage, and what is considered the first planned neighborhood shopping center in the country, the 1930 design for the Park and Shop complex in the Cleveland Park neighborhood of Washington. Heaton married Mabel Williams in 1902, and together, they had two children; Doris (b. 1906), and James (b. 1911). The family first resided at 3320 Highland Avenue, NW, but moved into his own designed house at 4861 Indian Lane, NW, in 1928. Heaton maintained an office at 1211 Connecticut Avenue for mush of his career, and a later colleague, Leon Chatelain III, donated nearly 10,000 of Heaton’s drawings and plans to the Library of Congress.